Daytona Beach Counseling Center offers a full range of counseling services for engaged couples, newlyweds, and long term marriages. Our caring, professional counselors are dedicated to helping your marriage thrive as God intended, not simply survive. There IS hope. Our experienced, compassionate counselors are here to help you work through the challenges couples often face in marriage relationships. When communication has deteriorated, resentment and a sense of isolation can settle in. Partners in the marriage may feel depressed, insecure, devalued, and very alone. 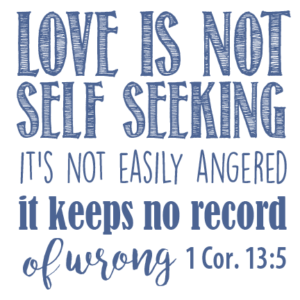 Working with your marriage counselor provides a safe environment for re-establishing healthy communication where honesty may be expressed in a constructive and loving way that heals rather than harms. Healthy sexual intimacy is an important part of marriage. Married couples were created to love each other and to be drawn closer together through physical intimacy. The goal is that both partners be comfortable and satisfied with sexual intimacy in their marriage. Re-establishing trust after an affair is possible, but it takes commitment and a willingness to change, forgive and move forward. When both individuals are committed to the counseling process and are willing to be completely honest, the marriage may be restored in time. Even couples who decide to end the marriage have found closure and acceptance through counseling. When husbands and wives become more like roommates than a married couple, counseling may help restore a bond of intimacy. This is not always problematic, but if there is a lack in areas the couple feels are important, your marriage counselor can help you discover what may be missing or preventing intimacy in your relationship. When a married couple is ready to consider a temporary separation, counseling can help. Spending time apart does not often resolve the situation. Rather, it can reinforce the idea that separation is helpful—leading to more absences. The issues that lead a couple in this direction will not resolve by spending less time together. Addressing problems directly with your marriage counselor is much more likely to help you reunite and work through any challenges. For those couples willing to commit to the process, marriage counseling can provide the skills necessary for long term happiness.